China Mobile displayed smartphones from Dell, Lenovo Mobile and other companies running its mobile operating system at a Beijing event on Monday. A version of the Magic handset from High Tech Computer (HTC) was also on display, renamed the Dopod A6188 and running the China Mobile OS. The handset has just gone on sale in China at a price just below 5,000 yuan (US$733), said a representative of Dopod, HTC's distributor in China, at the event. More phones using the China Mobile OS will go on sale soon. The carrier held the Beijing event to formally launch its "Ophone" platform, which includes the mobile OS as well as supporting hardware, it said in a statement. The platform aims to make it easier for handset makers to design phones that support TD-SCDMA (Time Division Synchronous Code Division Multiple Access), a China-developed 3G mobile standard that the government has tasked China Mobile with promoting, the statement said. China Mobile's Ophones will compete with the iPhone, which rival carrier China Unicom said last week it would start selling in the fourth quarter. China Telecom, another carrier, also hopes to win over 3G users by offering attractive high-end handsets. It is in talks with Research In Motion (RIM) about offering a version of the BlackBerry and with Palm about offering handsets including the Pre. The Lenovo Mobile O1, the first Ophone that will also support 3G, is slated to go on sale next month with a body and display that resemble an iPhone. The phone's screen displays applications in rows of iPhone-style colored squares. The Dell Ophone, which a sign said was a prototype, had a similar display. The handset was 2G and had a 3.5-inch touchscreen, a China Mobile representative said. 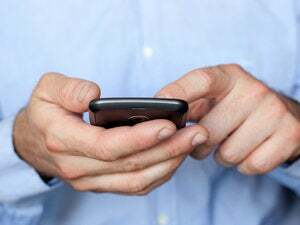 Applications on the phone including China Mobile's instant messaging client, a mobile e-mail service and a search feature for content on the device are included on all Ophones, the representative said. The Ophone OS is based on and compatible with Google's Android, the China Mobile statement said. Dell has not confirmed any mobile phone plans in China. The company has only said it is in "mobile product development" with China Mobile and has not announced when any device will be available. But a Dell device called the Mini3i is listed beside handsets supported by China Mobile's newly launched mobile application store. China Mobile also sees the Ophone platform as supporting its mobile download store, another service the carrier hopes will draw users for its largely unproven 3G standard. The store offers applications for Symbian and other handsets in addition Ophones. LG Electronics, Philips and Motorola are also developing Ophones, a China Mobile representative said. Ophones and China Mobile's application store are likely to perform well, but their growth will largely depend on how much China Mobile subsidizes the handsets, said Marvin Lo, an analyst at Daiwa Securities. "That could be the key factor that affects the sales of Ophones," he said. China Mobile's chairman last week said smartphone sales would increase greatly if prices can fall below $150. China Mobile has invested hundreds of millions of yuan on joint development of TD-SCDMA handsets with chip makers and handset makers, it said. The carrier surpassed 1 million 3G users in July.